It's kinda daunting looking at how many FREE parties are going on during SXSW. We took the liberty of posting all these parties throughout February and this month, but just thought we'd break them down day-by-day to have them all in one place. Hopefully you RSVPd to all the parties as most of them are closed now. If you click on the party it'll take you to the original post if you like to check out all the bands, set lists, locations and such. Check back tomorrow for Friday parties. Hope everyone had a great time yesterday! And don't forget to follow us on Twitter (@ultra8201) during SXSW. 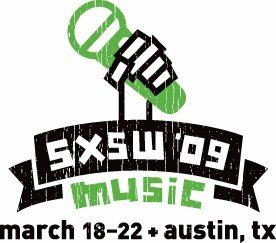 We'll be tweeting about all of our SXSW shenanigans.